With 100 million EMV chip cards expected to be issued to U.S. consumers by year end, merchants need resources on when and how to enable acceptance of the new chip cards. 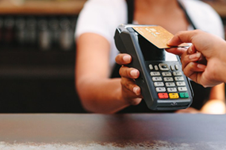 To provide this essential education, the EMV Migration Forum partnered with the National Retail Federation (NRF) to produce the webinar, Merchant Considerations for U.S. Chip Migration. The Merchant Considerations for U.S. Chip Migration webinar recording provides resources to educate merchants on the global use of chip cards, the status of the U.S. migration, considerations for making the decision to accept chip payments, and tools to begin project planning for chip card acceptance implementation. Webinar speakers cover key merchant topics regarding chip card acceptance, including: impacts of payment brands’ fraud liability shifts; customer experience; hardware and software considerations; testing and enablement timelines; the relationship with PCI DSS, tokenization and encryption; the role of acquirers, processors and/or ISOs in chip acceptance plans; and real-life implementation best practices and lessons learned. Speakers include: Tom Litchford, vice president of Retail Technology, National Retail Federation; Randy Vanderhoof, director, EMV Migration Forum; Robin Trickel, executive director of product compliance, Heartland Payment Systems; John Drechny, senior director of payment services, Walmart.